Wow, I'm honored to say that I'm including in this wonderful blog's 'Christmas Gift Sites to See' segment!!! "As the Crackerhead Crumbles" is a wonderful hodgepodge of great tidbits and tantalizing tales - I urge you to visit regularly! and, many Thanks for including me in your list for this season!! As many of you know, it's such a busy time for me! It has been for the last 3 months - I just haven't had a moment to myself - lol - but, I sure don't mind!! Things are going fairly smoothly; right now I only have 3 ornaments and two boxes to get out so I'm doing great! 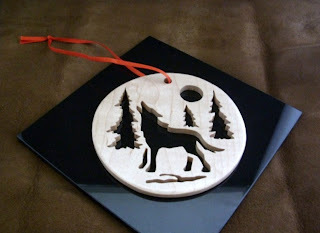 Well, I also just started posting my 'non-custom' ornaments online - take a look! I hope to be back soon, posting my usual pishposh of random thoughts and ideas - stay tuned!! Thanks for "stopping by the shop!"